Many people form a Corporation and think “That is it; now I can enjoy the asset protection, tax savings and benefits a Corporation provides.” But without proper corporate formalities…. you are risking your Corporation's protection, the asset protection and tax savings provided by a properly maintained corporate structure. The frightening truth is, every one of the many benefits you get from owning a Corporation could disappear if you are not documenting your actions. It comes down to your corporate records. If they are not up-to-date, in order and squeaky clean, you will lose your corporate status and then all your personal assets will be at risk. Your corporate charter being revoked. 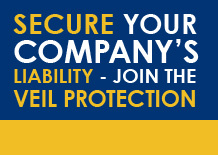 Losing the personal asset protection your Corporation provides. Paying tax penalties on unauthorized deductions. Having your company left in "bad standing" and out of compliance. Shareholders becoming personally liable for the Corporation's activities/debts. Allowing a creditor, the IRS or unscrupulous attorneys to eliminate the corporate protection of your company and seize your personal assets.